The Fashion Innovation Awards are to be held in the Radisson Blu this year. Forget Milan, New York and London; Galway is the latest on the list of couture cities with the 2013 Golden Egg Irish Fashion Innovation Awards taking place on 28 March. The Radison Blu Hotel has been selected to host the prestigious Irish fashion awards where budding Irish designers will be commended for their talents. The awards are coming into their fourth year and, to celebrate this, they are offering early bird tickets available to the public at the bargain price of €25. These awards are the coming-of-age event for fashion fresh meat with over 120 new designers having submitted their designs to the competition. All of those who made it to the shortlist will be competing to win one of five big awards: Jewellery Designer of the Year, Milliner of the Year, Student Designer of the Year, Accessory Designer of the Year and Fashion Designer of the Year. Students who have been shortlisted are dotted around the country from colleges such as the National College of Art and Design (NCAD), Galway Technical Institute (GTI), University of Ulster and Limerick School of Art and Design. The judging panel on the night will consist of Eddie Shanahan, the Chairperson of the Council of Irish Fashion Designers, Lisa Brady, Sunday Business Post fashion journalist and the managing director of Golden Egg productions, Patricia McCrossan. Previous winners of these prestigious awards have “enjoyed great success” says Patricia McCrossan talking about 2012 Designer of the Year, Natalie B. Coleman, who has dressed stars such as Sharon Corr, Kathryn Thomas, Mary J Blige, Charlene McKenna, Laura Whitmore and Marina from Marina and the Diamonds. Coleman, alumni of the Limerick College of Art and Design, has since gone on to have her creations featured on the pages of Dutch Vogue, Glamour, Company and on the catwalks of Berlin, Copenhagen and Amsterdam fashion weeks. 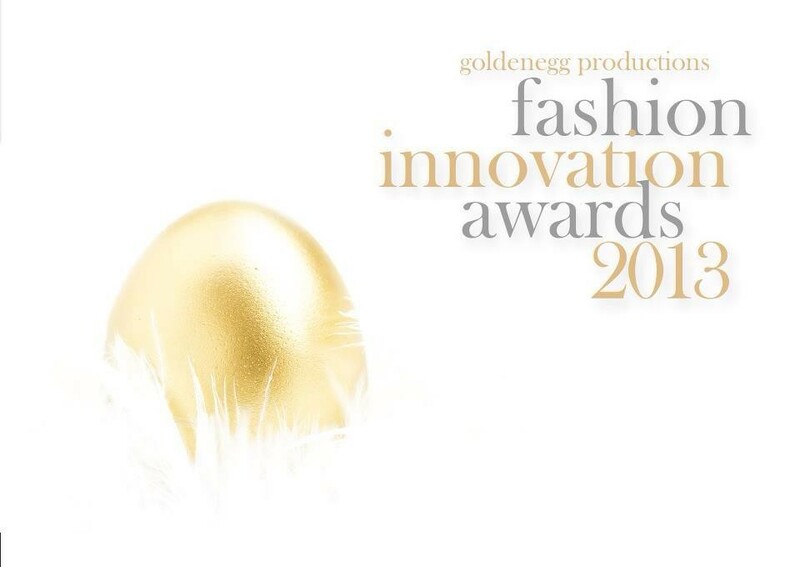 For a chance to mingle with the next Dontella Versace or Vivienne Westwood log on to goldenegg.ie/events to receive more information about tickets or simply search ‘Irish Fashion Innovation Awards’ on Facebook. Photo via Goldenegg on Facebook.